To climb Mt. Apo is not a walk in the park. It’s not like you’ve decided to go on a mountaineering trip now and you can be at the foot of the mountain the following day hankering to take your first big leap. Mountain climbing requires lots of hard work, willpower, and of course preparation so you can get to the summit. In fact, you need months of planning for this kind of outdoor sport. No mountaineer became an overnight success. 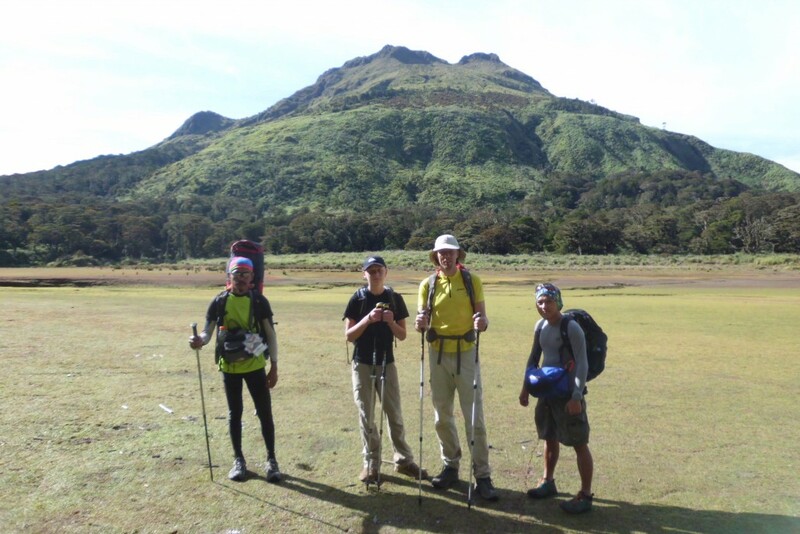 To help you carry on, i’m sharing with you the following steps to survive and conquer the Philippine’s highest peak. No matter how big the mountain is, you’ll overcome all the obstacles as long as you’re open to learn things needed to surpass them all. You can start by reading books, and searching the web about Mt. Apo and the stuff you have to do for mountain climbing. You can also ask tips from your friends who have tried it. You can also watch videos and documentaries just to have an idea of what’s going to happen. Complacency and conceitedness will lead you to your downfall. You must recognize and accept your weaknesses then strive to make up for them. By doing these, you’re already a step closer to victory. Being in a state of optimal physical health can never be belittled. This is your ticket to get things done when you climb Mt. Apo. You’ve got to train hard, and exercise to condition your body for the upcoming strenuous activities. So you can make it to the big day, follow these exercise routines before climbing Mt. Apo. The temperature at night ranges from 0-5°C. That’s near freezing point already. Because of the cold weather, you need to have the right kind and quality of clothing. To give you an overview, a basic mountain climbing attire is composed of the base layer, the middle layer, and the outer layer. The base layer is next immediately to the skin. Its purpose is to draw moisture from the skin and onto the clothing. The middle layer is the one following the base layer. It will help keep your body warm because of its insulation effect. The outer layer is right after the middle layer. This protects the body from the harsh weather conditions. The mountain gears are important for your survival and comfort. Leaving them behind is a mortal sin. There are a lot of brands and stores you can choose from if you want to purchase these gears. But if you are on a tight budget, you can rent them from your guides. Before heading to climb Mt. Apo, be in the know of each mountain gear and why you need to have it with you. There are still more to come in my next article. But for now, you can email us at discovermtapo@gmail.com to schedule your climb.